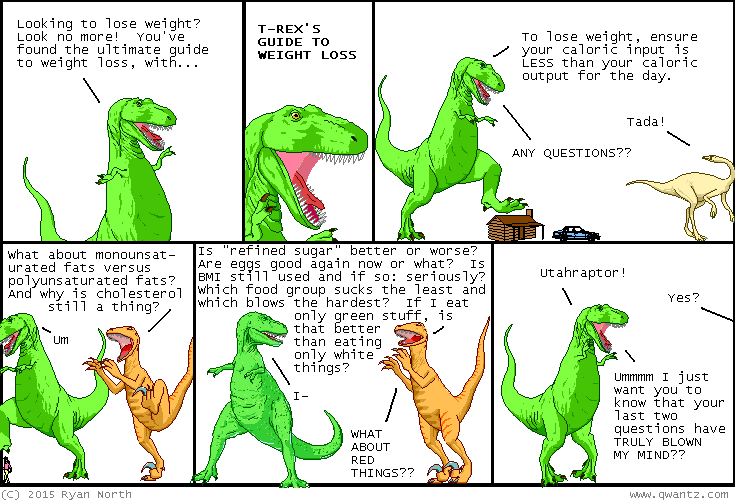 Dinosaur Comics - January 23rd, 2015 - awesome fun times! January 23rd, 2015: I have spent a lot of time thinking over this "green vs white" debate and I believe white gives you more access to vegetables AND grains, but green does open up quite a bit if you allow the use of (nutritional??) food colouring.